A Navy admiral will now determine whether two SEALs will face charges in the strangling death of an Army Special Forces staff sergeant last year in Mali. More than a year after the incident, the Navy’s criminal investigation into the death of Army Staff Sgt. Logan Melgar, 34, has concluded and been turned over to Rear Adm. Charles Rock, commander of Navy Region Mid-Atlantic in Norfolk, Virginia, as reported by the U.S. Naval Institute. Rock was appointed by Secretary of the Navy Richard Spencer to oversee the case, according to USNI. Information about Melgar’s death, and what led to it, has seen many forms, all ferreted out by the media as official sources have declined to comment on the ongoing investigation. Melgar died in June 2017 in shared off-site embassy housing in Bamako, Mali. Melgar, two SEALs and two Marine Raiders shared the housing and were in the country on a mission supporting Malian and French counterterrorism units fighting al-Qaida factions in the region. The death went without public notice until it was revealed in news reports last fall that the Green Beret had died in June. Because the victim was a soldier, Army investigators originally conducted the inquiry, but months into the investigation it was turned over to Naval Criminal Investigative Service as the incident allegedly involved Navy personnel. It was Army investigators who characterized Navy Petty Officer 1st Class Tony DeDolph, 39, and Chief Petty Officer Adam Cranston Matthews as “persons of interest” in the investigation. Multiple media outlets are reporting that two Navy SEALs being investigated in the homicide of an Army Green Beret in Mali wanted to get back at the soldier for a perceived party slight. During initial questioning, DeDolph and Matthews told investigators that they found Melgar unresponsive in his room. They then changed their story, saying the three were practicing hand-to-hand combat training in their shared housing at 4 a.m. on June 4, 2017. They said that Melgar was drunk during the incident, passed out and could not be revived. This raised suspicions, as friends of Melgar knew he did not drink alcohol. And a toxicology report showed no alcohol in Melgar’s system. After being challenged with those details, the pair later changed their story, saying that they had ambushed Melgar in his room over a perceived slight when he failed to stop and give them a ride to a party. Once Melgar was unconscious and stopped breathing, DeDolph and Matthews claimed they tried to resuscitate him using CPR and a field-expedient tracheotomy and then took him to a nearby hospital. The death was classified as “homicide by asphyxiation” by a military medical examiner. The two Raiders who shared housing with Melgar and the SEALs were reportedly questioned in connection with the death investigation. There has been no indication whether they or the SEALs will face charges. Marine Corps Special Operations Command officials have declined to comment on the investigation. DeDolph and Matthews were flown out of Mali shortly after Melgar’s death and placed on administrative hold at the SEAL Team Six headquarters in Dam Neck, Virginia. 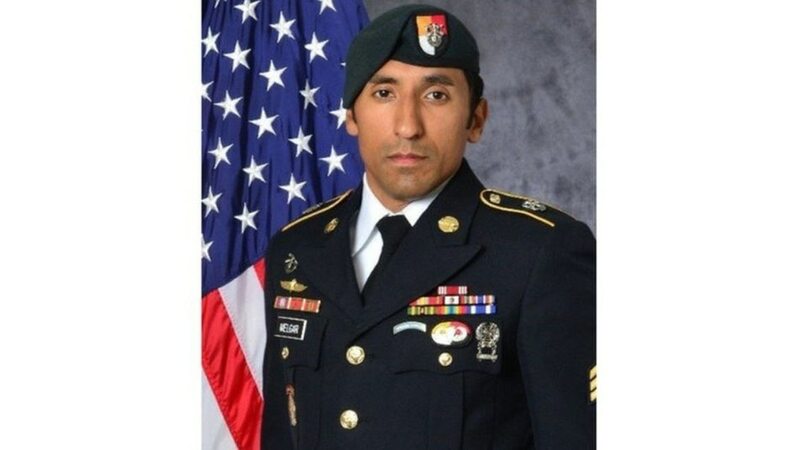 Reports show that Melgar had emailed his wife shortly before his death and told her he had a “bad feeling” about some of the troops he was working with. His wife has declined to speak with media. Some sources in the special operations community told The Daily Beast last year that Melgar had allegedly uncovered that the SEALs were skimming cash from operational funds. The funds are commonly used to pay informants for terrorist or arms trafficking information, similar to work done in federal law enforcement agencies in domestic drug investigations. Melgar was assigned to 3rd Special Forces Group and nearing the end of his deployment to the African nation. A native of Lubbock, Texas, Melgar joined the Army in 2012 and served two tours in Afghanistan with 3rd Special Forces Group out of Fort Bragg, North Carolina. He was awarded the Defense Meritorious Service Medal posthumously.